FAMOUS FACES, INFAMOUS STORIES! WHO WILL YOU MEET? This year, The York Dungeon is delving deep into the dark history of Yorkshire, to discover some of the county’s most terrifying true stories and the personas behind them. Taking place throughout the year, each show will explore the life and legacy of a different character from Yorkshire’s history and it’s up to you to decide, were they a Rogue or a Legend? 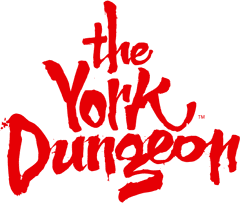 Explore each show below, featuring characters never before seen inside The York Dungeon.